If you’re getting GPS guidance to our ranch, please be careful that you’re heading toward Knezmost. There is another „Srbsko“ in the Czech Republic. We are a small family ranch and a farm. We operate according to the principles of permaculture. We make sure that all our activities are as natural and sustainable as possible. 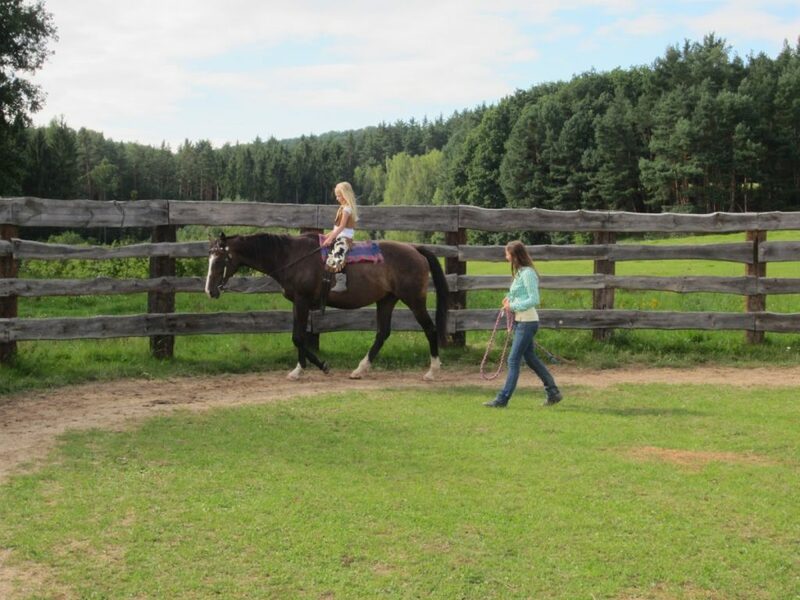 Ranch Srbsko was founded in 2004 as a small family company focused on horses, permaculture and nature in the Czech Paradise region. There are 4 horses on the ranch. All four of our horses spend their days roaming on 10 hectares of pasture and love taking rides around the beautiful surroundings. 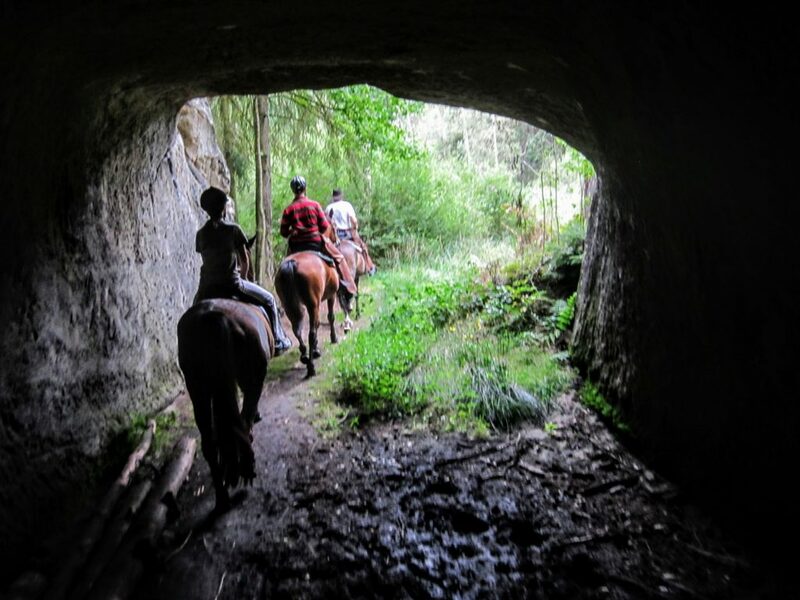 The advantage of our location is that we are located right next to many of the beautiful Bohemian Paradise forest paths and there is no need to ride on roads intended for automobiles. 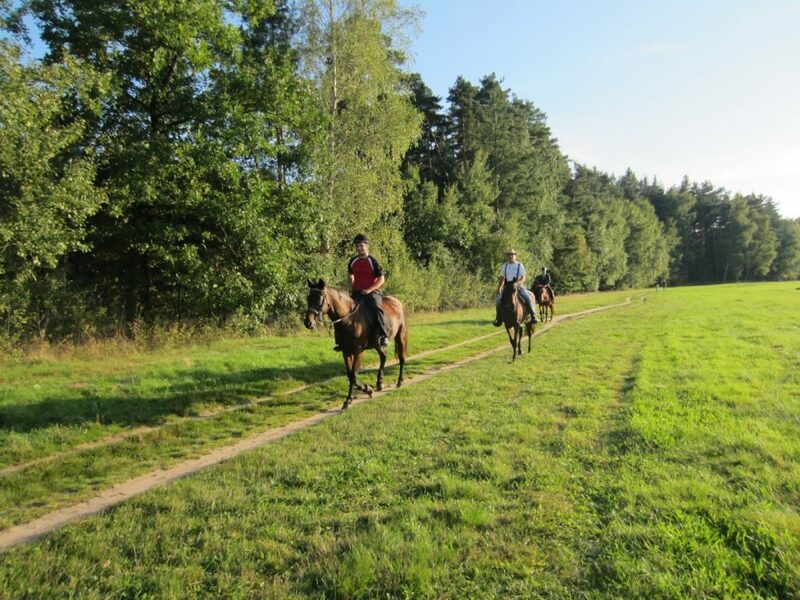 Opportunities for rides are many – of the more famous places, riders can go to the castle Kost, the castle ruin Valečov, or the Plakánek valley or other places full of meadows, forests, sandstone formations and lakes and ponds. Information and reservations at info@ranchsrbsko.cz or by telephone at +420 608 476 041.